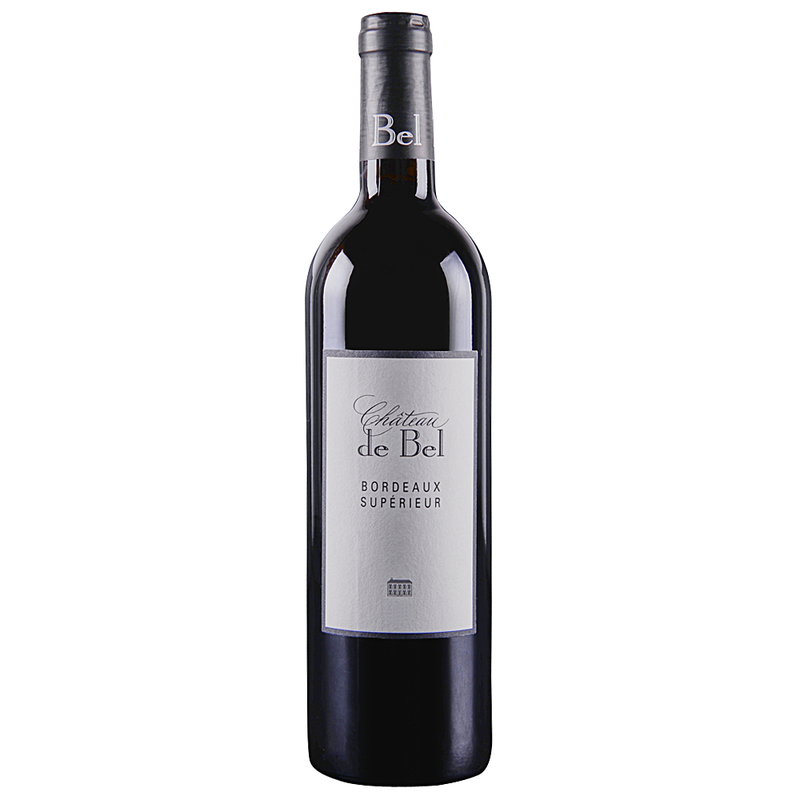 ...When my wife and I acquired Château de Bel, we had only 4.5 hectares around the property and 90% was Merlot and old Cabernet Franc by that time. With my father-in-law’s help we bought nearby plots and extended our property to 8 hectares. The surface area can be considered as small in Bordeaux but it allows me to stay close from the work done in both vineyards and cellar. Minty aromas reflect the new wood that was used to age this wine. Its red berry fruitiness recalls the vintage while its firm tannins will allow it to age for several years. It comes from the western end of the Entre-deux-Mers region. Drink from 2019.